GoBake Number 5 Candle with Stars on Picks – GoBake | Everything for the Cake! What’s a birthday cake without candles? Celebrate your special occasion or event with our birthday candles perfect for decorating any celebration cake. All GoBake candles are non toxic, dripless and smokeless providing a super high quality birthday candle you can trust. These awesome number and star candles on picks are a fun way to decorate your celebration cake… but only if you want everyone to know your age! 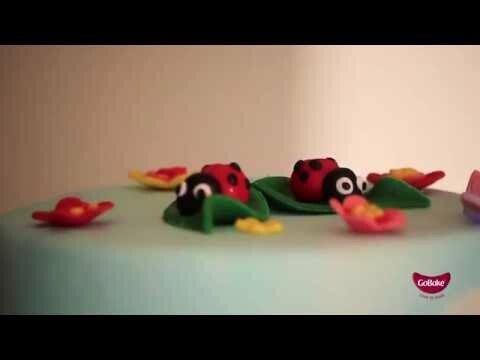 - Decorate your birthday cake in style! - High quality - Non toxic, dripless and smokeless! Suitable Applications Decorating Birthday Cakes! Special Handling Instructions Caution: We care about your safety. Please use under adult supervision. These candles may contain small parts which are not intended for use by children 3 years of age or under. Always extinguish candles in water before disposal.